Misty Copeland, the first black ballerina to earn the coveted title of principal dancer with the American Ballet Theatre, is known for smashing ceilings and breaking down barriers, heavily promoting diversity in an industry that is still sadly lacking in representation. But before there was Misty Copeland, there was Raven Wilkinson, who actually mentors Copeland and broke similar ground during the daunting racial climate of the 1950s. As Time magazine notes, Wilkinson is credited with being the first African-American ballerina to dance with a major touring troupe when she signed with the Ballet Russe de Monte Carlo, performing the solo waltz in Les Sylphides. 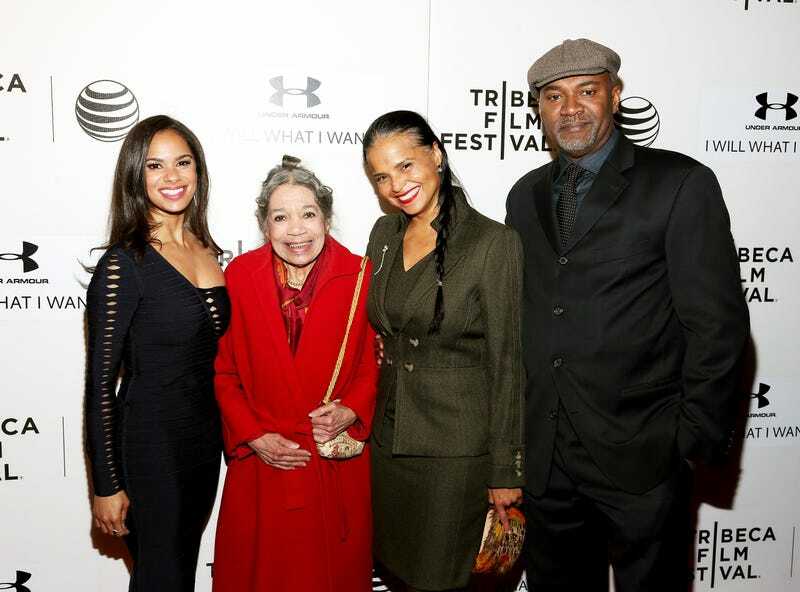 Her story is now the subject of a new picture book titled, Trailblazer: The Story of Ballerina Raven Wilkinson, which was released Tuesday, just in time for Black History Month. The now 82-year-old risked arrest, and even her life, while touring with Ballet Russe in the South during the age of segregation, Time reports. Wilkinson recalled vividly one horrifying encounter with the Ku Klux Klan in 1957 when her company passed through Montgomery, Ala., during a tour. She did as she was told and witnessed a cross being burned outside her window. Wilkinson was kept safe thanks to her fellow dancers who helped protect her. “If they thought danger was approaching, they’d say something to me in French or Spanish, so I’d be aware,” she added. Wilkinson later moved to Europe, where it was easier for her to follow her passion and dance professionally, returning to the States only in 1974. When back stateside, she danced for the New York City Opera until she retired at age 50, Time notes. Now she mentors dancers, most notably Copeland, who continue to build on the foundation she set up. Copeland noted that her mentor’s history often helps her push through the racism that she sometimes faces.